The 2007 Ford F-350 Super Duty 4WD pickup was the most stolen vehicle in Canada in 2015. 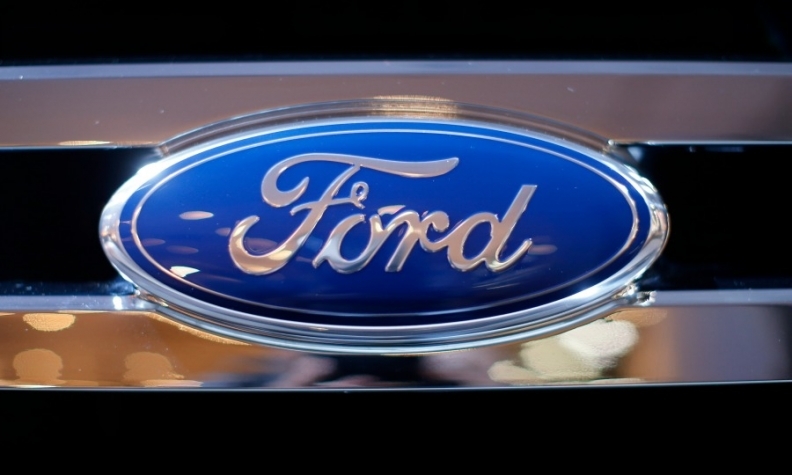 Editor's note: An earlier version of this story overstated Ford's year-ago profit in Europe. The correct profit figure was $138 million. DETROIT -- Ford Motor Co. on Thursday said its third-quarter net income rose 63 per cent to $1.6 billion (all figures in USD in this story), helped by foreign tax credits and strong light-truck sales in North America. Ford's revenue, pretax profit and operating margin all increased in what CFO Bob Shanks called a more balanced performance than recent quarters. Ford's adjusted pre-tax profit climbed 40 per cent from a year ago to $2 billion, while revenue inched up one per cent to $36.5 billion. Its earnings were equivalent to 39 cents per share, six cents better than analysts' estimates in Jim Hackett's first full quarter as the company's CEO. "This quarter demonstrates that our team's focus on fitness is showing early promise," Hackett said in a statement. "But we also know that we must accelerate that progress in the near term." Ford's profits were driven by North America, where it made a $1.7 billion pretax profit, up 31 per cent from the same period in 2016. Its profit margin in the region jumped to 8.1 per cent from 5.8 per cent a year earlier. U.S. sales of F-Series pickups were up 14 per cent during the quarter. Ford said buyers paid an average of $45,400 per truck, up $2,800 from the same period a year ago. Ford Canada didn’t break down F-Series sales by quarter, but said total Ford F-Series sales through September were up 6.4 per cent over the same nine months of 2016. A company spokesperson said F-Series sales for September 2017 were the highest of any month on record and that sales that month increased by four per cent over the same month last year. It posted lower results in Europe but performed better in the rest of the world, including record earnings in its Asia Pacific region. Ford attributed an $86 million loss in Europe, down from a $138 million profit previously, to the United Kingdom's vote to leave the European Union and costs related to launching a redesigned Fiesta sedan. The company said it still expects Europe to be profitable for the full year. Ford lost $158 million in South America, about half as much as it did a year ago, and $60 million in its Middle East and Africa region, a $92 million improvement. Pretax profits in Asia Pacific more doubled to $289 million. Ford Credit contributed $600 million in profits, a 5.8 per cent increase. The automaker said it expects full-year earnings to come in between $1.75 and $1.85 per share. That is the top half of the range it had given previously. Ford, in anticipation of corporate tax-reform efforts by Congress and President Donald Trump, brought $266 million in foreign tax credits back onto its U.S. balance sheet, continuing a planning practice it started in the second quarter. Ford’s stock continues to be met largely with apathy on Wall Street. It was up 1.5 per cent, trading at $12.22 a share as of 2:56 p.m. ET. Hackett on Oct. 3 met with Wall Street investors promising to redirect a third of the company's internal-combustion engine expenditures to vehicle electrification and cut costs by $14 billion. CFO Bob Shanks said the results show the company is very healthy. F-series sales rose 14 per cent in the quarter, and Ford was able to post strong numbers despite selling fewer than 1,000 Expeditions and Lincoln Navigators in the quarter as it prepares to launch redesigned models of both high-profit SUVs. It sold more than 19,000 of the two nameplates in the same period last year.